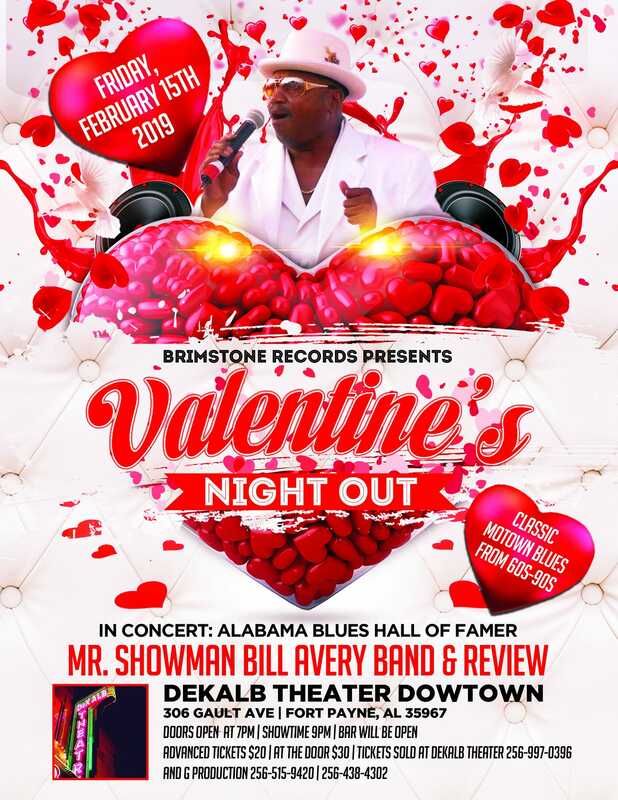 Brimstone Records presents Valentine’s Night Out. In concert: Alabama Blues Hall of Famer Mr. Showman Bill Avery Band & Review. Doors open at 7pm, show starts at 9pm.